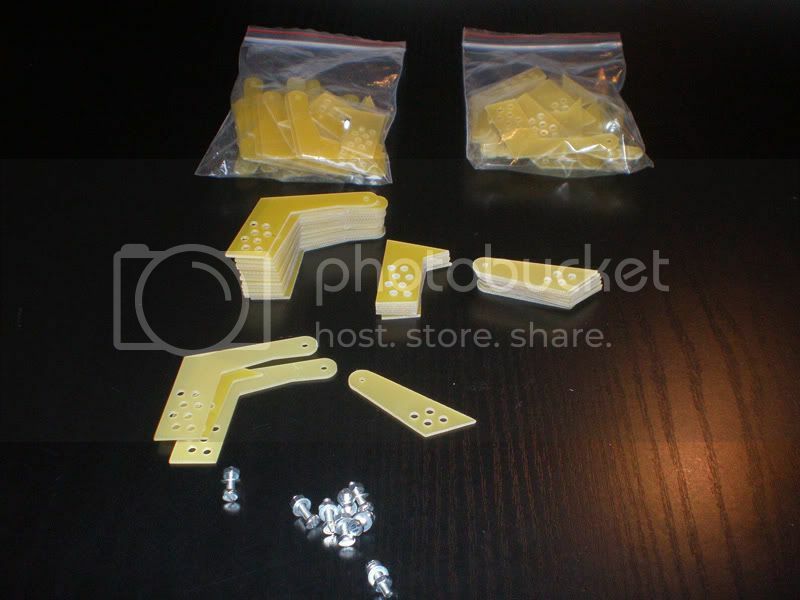 I can offer set of hinges, same as I used on my Meister Scale P-47. Set contains parts for 8 hinges (4 per flap). Hinges was made from 1,5 mm Vitroplast, material same as G 10 - glass cloth and epoxy resin. They are very strong, durable and move easily. Shaft is M 3 mm screw with nut.